Zero is the infinite number. Do you realise also that 'nothing' is also infinite? <-- This is mind numbing! 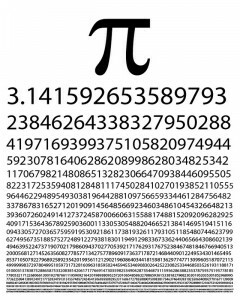 Pi is pretty fun to eat. Everything equates to the whole IMO. A missing memory is a faulted construction. I consider material existence the Universe realizing itself. Created out of the chicken and the egg. You either have something, or absolute nothing. All or none. Something can't exist, if existence isn't realized. if the universe is expanding, where does it come from?